Want some clean, refreshing air in your home, office, or other space? The ozone generator is just the device to help you achieve this. It eliminates foul smells caused by smoke, pet odors, dust, and micro-organisms, among other pollutants through an air purification process that creates O3. Read on to find out about this awesome device. Here you’ll learn how it works, things to consider when buying, answers to frequently asked questions, usage tips and review of TOP 5 best ozone generators currently available. Ozone generators provide an affordable means of keeping the air fresh in homes and commercial settings. They not only eliminate foul smells but also purify the air by eliminating airborne particles like bacteria, mold, fungus, viruses, smoke, and other pollutants using a triatomic molecule that has three oxygen atoms. The discussion further explains how it works and the five best ozone generators. To understand how an ozone generator works, we need to explain what the ozone is and how it applies in the purification of air. Ozone is a molecule that has three oxygen atoms instead of the typical two. Two of the three atoms form the oxygen molecule, and the other is free to attach to molecules of other substances, which changes their original chemical composition. This discovery led to the invention of ozone generators to purify the air. An ozone generator works by drawing in contaminated air and allows it to pass through electrical discharges that convert CO2 to O3. The ozone molecules also rid of odors that may be in the air. Ozone generators are the most used devices in the removal of smoke odor. Ozone is generated in different ways like cold plasma, electrochemical, ultraviolet radiation, corona, and cold corona discharge. Generators using the electrochemical method produce ozone by applying an electric current to high electronegative anions and an electrolytic solution of water. Only a few ozone generators use this method. Devices that use the cold plasma method produce little ozone compared to other methods. Additionally, users cannot adjust the strength of the ozone, an essential factor when performing ozone therapy. Generators that use UV radiation rely on the UV rays to generate ozone; when air meets the UV rays, the ozone is produced. UV ozone generators are designed to generate stable output throughout different humidity ranges. Most generators use the corona discharge method to produce ozone. The devices are specially designed for therapeutic purposes, and users can easily adjust the frequency and strength of the ozone to obtain the desired flow. The cold corona discharge method is also known as the cold spark technology or the crisp ozone production. It tends to be more efficient, and properly-engineered designs do not produce any heat. The most common material used to make ozone cells are glass and ceramic. Initially, manufacturers used glass cells due to their resistant feature, but they discovered that the material was subject to burnouts after prolonged use hence, shifted to using ceramic cells. Ceramic is also resilient and does not produce contaminants. And, if you are using washable cells, it is a huge advantage as you don't have to replace them. Most manufacturers indicate square footage ratings with the assumption that the ozone generator is primarily used for air purification. This can be misleading if you intend to use the device for other applications like the killing of germs using shock treatment. The type of contamination: Odors such as chemical fumes, indoor pollution, and other emissions can be eliminated within a short period hence, require mild shock treatments. Other extreme odors from the heavy consumption of cigarettes and smoke build up from a fire need longer treatments hence, the need to buy larger generators to produce a high concentration of ozone for several hours or days. The extent of contamination: more ozone is required if the contamination is severe, e.g., if this case of heavy fire smoke or mold growth. The Temperature: areas with high temperatures cause the ozone to get depleted more rapidly. In freezing temperatures, however, the ozone can last as long as 30 days. The ideal temperature for using ozone generators is 60 degrees Fahrenheit and above. Treatment time: use small devices for short treatment times and bigger ones for prolonged treatment times. The humidity: ozone generators generate more ozone in dry areas than in humid air. This professional-grade unit is ideal for industrial purposes like mold removal on vast areas. It also acts as a deodorizer by eliminating pet odor, dust, smoke, cooking odors, and smoke damage, among other irritants. The Enerzen features a long-lasting and low maintenance metal casing that is exceptionally light for you to carry to the office, car, or home. 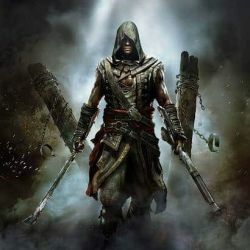 Additionally, it has been designed to keep energy consumption to the minimum. It is fitted with a timer that allows you to regulate the purification time (20-30 minutes for cars, 100-120 minutes for the whole house, 30-50 minutes for large rooms, and 50-100 minutes for basements). Plug it into an 110v outlet and turn it on. The device relies on the electrochemical generation of the ozone to eliminate odors and micro-organisms, among other pollutants. This upgraded version of the mammoth does not need filters but guarantees up to 6,000 hours of operation. It is a heavy-duty ozone generator hence, can be used to purify vast commercial spaces, though its compact design allows you to use it in the kitchen, bedroom, and garage, among other areas. It is fitted with a high-quality ionization lamp for ionization in large spaces like offices. The ergonomically fitted handle allows you to carry it around when eliminating odor in different areas. Enjoy fresh air with the Ivation Ozone generator that is designed to expel harmful airborne particles after latching on to the negative ions. This device releases fresh oxygen in the space after purging foul smells of chemicals, food, cigars, and pets. The unit functions as a 2-in-1 ionizer and odor remover to achieve multiple effects on spaces as large as 3,500 square feet. The 300B model is an upgrade of the previous unit thus, consumes less energy, guarantees stronger output, offers better ion quality, and has a quieter fan. Its cherry wood and stainless steel build blend in with any home décor easily. This UV air cleaner and generator can sanitize and deodorize small and medium spaces. It is the only generator designed for use in occupied areas. Its compact and lightweight design makes it an excellent choice for people looking for a portable device for traveling or use in occupied spaces. The machine is fitted with an on/off switch that allows users to turn it off when not in use. What's more, it is fitted with a charcoal filter and a UV-C bulb for operation as an air cleaner while eliminating bacteria and odor without using the ozone. The generator is fitted with a two-hour timer, one ozone plate, a charcoal filter, and UV light for enhanced sanitization. This versatile device has an output of 600 mg/hour, which ensures every room has fresh air while sanitizing the water in your home. It weighs 3.05 pounds, which is pretty portable if you are planning to carry it during travel. This unit is designed to purify one glass of water to a gallon. Activate the #1 setting for a two-minute run time if purifying a glass of water or the #5 setting for twenty-minute run time. The ozone generator is also ideal for washing and rinsing fruits; you only need to set the diffuser 2-4 inches in the water and ozonate for 10-15 minutes. The device purifies spaces of up to 300 square feet. Its package comes with two 1' diffuser bubblers and two 36' polyurethane tubes, so you can ozonate the tap water as soon as it's taken out of the box. How Long should Ozone Generator Run? Three to ten hours should be enough to eliminate most odors if you are using the ideal machine for space. Most manufacturers indicate the square footage that the device can cover. The best way to ensure the machine is effective is to allow it to run for a few hours, switch it off, and allow the ozone to interact with the particles in that space. How should I Repair an Ozone Generator? The device may require repair if it is producing less clean air. Begin by checking the dust filter in the generator. If it has a dark color, then it is full of smoke, dust, and other contaminants. You can replace it with the filters that come with the unit or purchase a replacement. In some cases, the machine won't start; check the protection circuit and internal fusion that keep the motor from overloading. If you have an older version that uses one power transformer, you should consider replacing it with a modern type that comes fitted with multiple transformers. How Do I Test Ozone Generator? You can test the performance of the machine using three devices- the monometer, flow tube, and the ozone meter. The ozone meter shows the concentration of the air leaving the generator while the monometer shows the velocity of the flow of air in the flow tube. On the other hand, the flow tube measures the airflow from the generator. Will the Ozone Generator Kill Plants? If you are using the machine to kill spider mites, then it can destroy plants. This is because spider mites require high ozone concentrations to break down their respiratory systems. 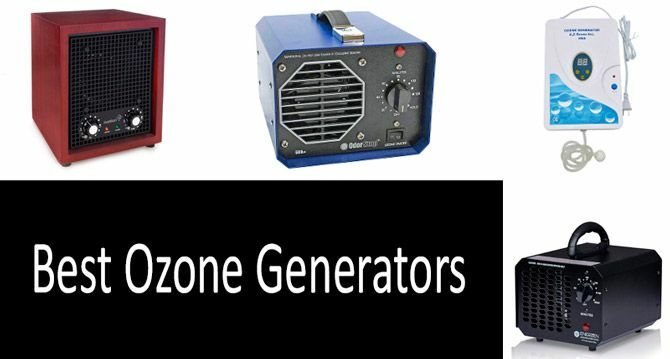 Yes, the ozone generator provides an effective way of removing odors through built-in ionizers and electrostatic precipitators. The generators produce ozone by breaking down the oxygen molecules into single atoms that attach to dust, odors, and other pollutant molecules to produce fresh air. They are safe when used appropriately, i.e., within the required square footages and ideal runtimes. However, high concentrations of ozone can lead to throat irritation, chest pain, coughing, and shortness of breath, among other respiratory problems. Experts recommend using the machine in well-ventilated spaces. High concentration of ozone can be toxic. Ozone generators provide a great way of purifying air and eliminating odor. Keep in mind to use them in unoccupied spaces and to purchase machines designed for that particular space and application. You can purchase a small ozone generator and place it in different rooms or a large one for the treatment of the whole house.